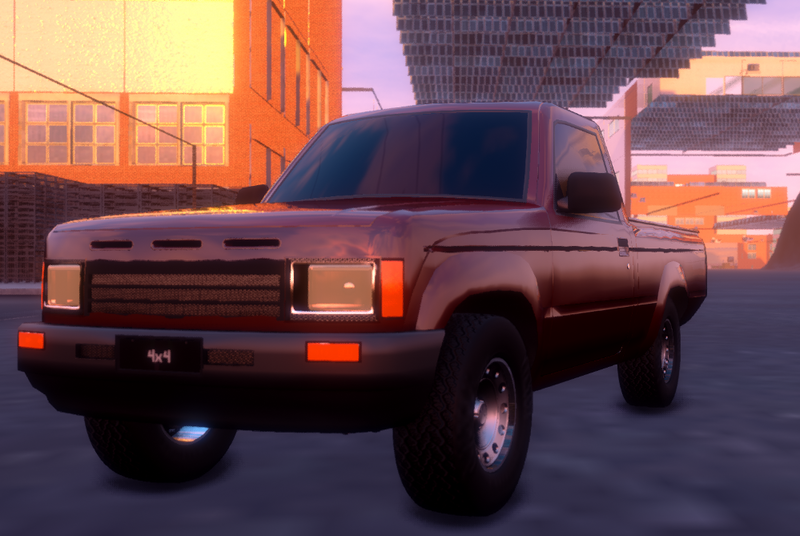 If you mean the 86-97 Nissan Pickup the smallest of the 85 pickups is almost exactly the body you are looking for. The body is looking more like Toyota Hilux body but they were direct competitiors to eachothers, and the size difference is couple inches one way or another. I don’t think it’s possible since the alternative “rust” aren’t available as panel or chassis material.